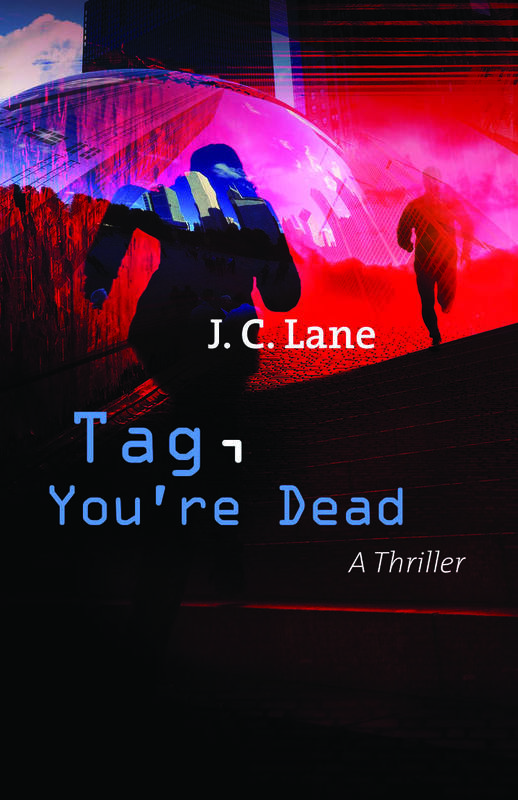 In TAG, YOU’RE DEAD, author J.C. Lane presents a chase around the city of Chicago, where the innocent game of tag becomes a matter of life and death. Writing from the point of view of six different characters, the author decided to do something radically different from her previews books, published under the name of Judy Clemens. No spoilers here, though. You can see the result this month, when the book comes out. Your book is set in Chicago. What’s the importance of this city in your story? I have always loved Chicago. I grew up in northern Indiana, so when our family went to “the city,” it was Chicago, where we visited the Field Museum, Orchestra Hall, The Museum of Science and Industry, and The Berghoff Restaurant, with its amazing rye bread. I also lived in Evanston for a year while my dad was getting his doctorate at Northwestern University, so I have good memories from that time. A few years ago my husband took me to Chicago to celebrate my birthday, and we stayed at The Palmer House, a National Historical Landmark hotel, went to a play, and attended a recording session of my favorite NPR show, “Wait, Wait, Don’t Tell Me.” The trip was a reminder of how much I love the city, and when the idea for TAG, YOU’RE DEAD came to me, Chicago was automatically the place I wanted it to be set. The characters end up in so many of my favorite places, including the Adler Planetarium, Wrigley Field, and the Art Institute, just to name a few. Could you picture your book taking place somewhere else? I suppose the story could have taken place in a different big city, but Chicago has a special place in my heart, and I hope that affection comes through in the writing. I would have had to research other cities, and with Chicago’s blend of downtown, a river, a lake, two baseball teams, and all of its special buildings and museums, another city would have a completely different feel. We spoke about characters earlier, and my hope is that the city of Chicago has its own place as a character in the book! How do you deal with reviews —good and bad? Oh, reviews… A good review can make my day, just like any author might say. A bad review can leave me feeling bad for a while. I have learned that rather than seeking out reviews (Googling) I wait until my publisher or someone else shares a positive one they found. If I hunt for them, I sometimes come across a negative one I might have missed had I just left it alone. Sometimes, too, if there is a bad one I happen to see, I take a look at the person’s back catalog, so to speak. I recently got a bad review on Goodreads, and when I checked out the reviewer I found that she never likes anything. So I’m easily able to let that one go and focus on the reviews of people who enjoyed what I wrote and were excited about it. How much of a challenge is raising your children and finding time to write? Not as much of a challenge now that they are older as when they were little! I was a stay-at-home mom during their early years, with a husband who was gone a lot for work, which meant finding time to write was very difficult. My first book (Till the Cows Come Home) was written entirely during my first child’s naps! Once I had two children, I often stayed up until the wee hours of the morning to get my words in. This made it interesting to go back to my work the next day, because I sometimes wouldn’t remember half of the things I’d written! These days I have more time during the daylight hours, which I’m thankful for. I do work otherwise part-time, and I spend a lot of time shuttling my kids to events, so that means still being diligent in using the time I have. All writers know how hard it is to balance life and writing—no matter whether you have kids or not, work otherwise, or whatever the situation is. It all comes down to perseverance and commitment! Are you more comfortable working in a small publishing house? There are really great things about being in a smaller house. It’s incredibly personal, and the people there are very approachable. I have made many friends there over the years, from the editorial staff to administration to other authors. 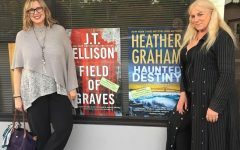 We have our own listserv and Facebook group, and whoever is present gets together at every Malice and Bouchercon conference. It is an incredibly supportive group of people. Poisoned Pen Press gave me my start, and they are with me to this day. I appreciate so much all they have done for me. That’s a hard one, because summer also means the family is around! I love seeing them more, but that also means it’s harder to find quiet time to write. The kids work mornings at a local farm, so I use that time to get as many words on the page as I can so I can devote the rest of the day to being a mom and having fun with the kids doing various summer things! This summer will also have a lot of time devoted to promoting TAG, YOU’RE DEAD when it comes out, so I’ll need to be even more diligent! J.C. Lane is the author of TAG, YOU’RE DEAD, her first thriller. She also writes mysteries as Judy Clemens, including the Stella Crown series, the Grim Reaper mysteries, and the stand-alone LOST SONS. She is a past president of Sisters in Crime and lives in Ohio. 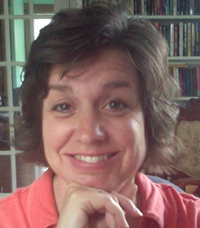 To learn more about J.C., please visit her website. Matt Ferraz is a Brazilian writer living in the UK, where he's taking the Masters in Biography at the University of Buckingham. Matt's crime novel Killing Dr. Watson is coming out on February 2016 by MX Publishing. He also have works published in Italian, and works as Assistant Editor at Monster Books.